4.00am on a sunny Monday morning and, guided by NHS 24, I’m off to hospital to be examined by a friendly old GP in an empty Outpatients Department. He reckons my appendix should come out so takes me through to Accident & Emergency. I knew what to expect from Accident and Emergency because I sometimes forget to switch Channel 4 off after the news and see documentaries either about it, or about the folk who most often end up there. The confused, the drunk, the unruly and the angry. If you’ve simply had an accident or encountered an unexpected emergency, you stand out. In my experience the NHS deals with acute distress brilliantly. People turned up, apparently out of nowhere, and raced me through the scans and tests I needed. Within a couple of hours they knew what they wanted to do with me. I just wasn’t sure I wanted them to do it. They moved me to a ward to have a think. 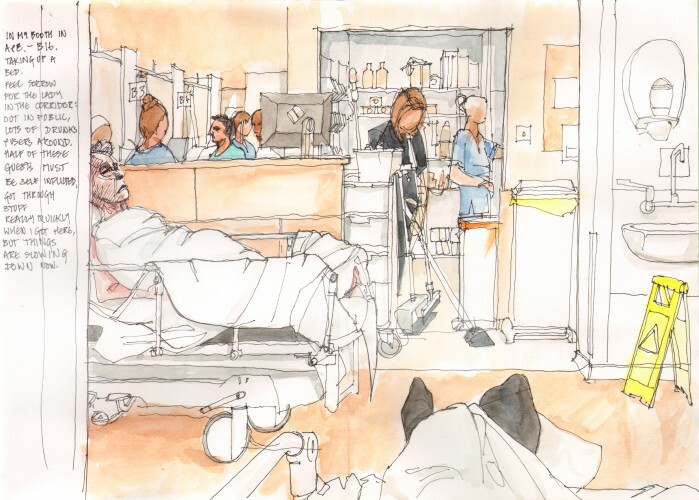 A few years ago I spent a couple of weeks in an emergency surgery ward. They’re emotional places, people doing better than they look, people doing a lot worse, it’s not remotely relaxing. I’d come in to sort out my appendix but was being given scenarios that included far more significant surgery. You don’t want your appendix bursting though so after some discussion with communicative Registrar Alastair I went ahead. After that, recovery. Nothing left to do but recover in the care of a cracking team in Ward 106, led by Mr Ravindran. 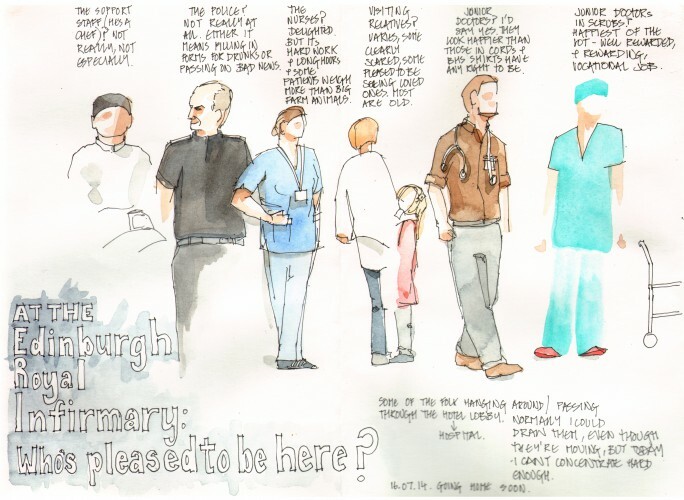 A brilliant experience of the NHS: good health care available to rich and poor alike. Written by one of our patients, Sandy, who kindly gave us permission to use his work. Older PostWelcome to our new trauma fellows!